Wouldn’t mind a sip of the Federal Reserve? What about Kennedy? Between the two, the president John Kennedy and the Federal Reserve, there is a special connection. By the way, I had an unforeseen break on blogging – back again. Precisely, the Federal Reserve was the main vehicle that facilitated his death. Plotted death, I should add. This is followed by Central Intelligence Agency but that is another story. How did Kennedy mess up with the Federal Reserve so that he became dangerous to the plan? Before that, if you don’t mind, a fly over background of the Federal Reserve. The Federal Reserve or Fed for short is the central banking system of Unites States. Its seed was planted in a secret meeting in Georgia. In 1913 it sprang into official existence when the president Woodrow Wilson signed its approval. 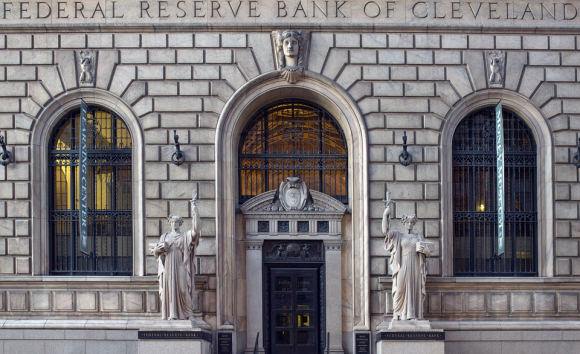 Since then the Federal Reserve’s primary role is to take care of the US monetary policy. That is, to regulate the supply of money in the country and its interest rates. As the general public we are told that the Fed keeps the economy nice and stable in terms of growth. So that there is no too little growth – recessions – and not too much growth – expansions. However, forget about expansions, the real problem is recessions. As I noted in earlier writings these days US’s favorite way to get the country out of recession is introduction of new money. Quantitative easing is a formal term for it. However, the US government can’t just create new money whenever it pleases. Since 1913, this is up to Fed. What Fed does when the economy is doomed in this way is it creates a cheque for the needed amount literally out of nothing and then lends it to the government at interest. In turn, the US government presents the Fed with a “I owe you” (IOU) paper. There it says that the government will pay the interest on the borrowed amount plus eventually give it back in full. That’s called “let’s make this look like we are doing economy here”. It is a pure game, the only thing is it does look like economy, and very complicated one. In addition, the Fed also has the privilege to manipulate interests rates. In case of recession, it may lower them, which is artificial of course. What is wrong with the Fed? First, it is privately owned. It is a private corporation just like MacDonald’s! On their website it says that they have stockholders. Only private organizations can have stockholders. Its stockholders are twelve Federal Reserve Banks situated in major cities like Boston and New York. All of them are owned by a small but very wealthy group of people, world elite of you will. Rothschild family is one of them, if this name rings a bell for you. The offending thing is that the “Federal Reserve” term is totally deceiving. This agency has nothing to do with the “federal” stuff. Neither does it have any reserves. It has named itself as such just to eliminate any kind of wondering and prevent the general public to think twice about its validity. Second, the Fed is virtually independent. It makes decisions on its own, without needing an approval from any branch of government. Albeit, from time to time its actions might be questioned by the Congress, after the fact. However, the Congress does not have any access to its inside matters. Neither does a President. There is no other agency of government which can overrule actions that we take. Third, a full audit has never been done on it. Meaning that the Fed’s past and present actions are as blurry as the London fog. These days the Fed is only agency in US with the capability to issue new money, and in any amounts. Digital, paper, doesn’t matter. As long as there is access to computers, paper, ink. The main reason behind this is that the US dollar (like the majority of today’s currencies) is not backed up by any asset to put a limit to its issuance. The other reason is that the Fed is autonomous organization whose real objectives are profits and power. Wait, you may say, it looks like the Fed does “pull up” the economy in times of recession. That’s right, but only temporary. On the other side, the long-term side effects of its actions are inflation and huge national debt. And this is while it creates spectacular wealth for itself via charging interests, literally on air. Most people only see the stage, actually the stuff that we are supposed to see, the stuff behind the stage – absurd, power and profits – is well hidden. Think for a second: a profit-chasing organization fully controls the guts of the US economy. A country with the world’s main reserve currency that got all other currencies by the throat is not controlled by a government but by a profit-seeking corporation..! Rest assured that the Fed’s goals stand far from the average people’s needs. Consequently, since today’s western economy is based on the US dollar, the majority of people in the western countries would never enjoy a just compensation for their labor but will continue to remain puppets of the Fed’s money games and at the same time being only marginally aware of that. Permit me to issue and control the money of a nation, and I care not who makes its laws! In times of Kennedy, the early 1960s, the Fed was kidding around in a similar way. He, as a man of honor (very few among politicians), didn’t like it. Read the upcoming post to see what he ended up doing. Obviously Kennedy was not one of the bulletin points in the plan set up by the world elite… so he was removed.